How do I share our schedule with a third party? I would like to give read-only access to Published schedules to someone without an account login, but I don’t want them to make changes to the schedule. 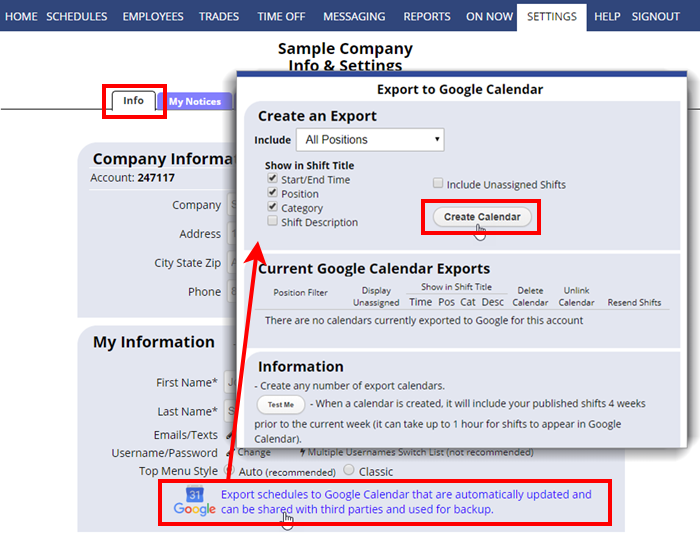 The best way to share your Published schedules with people outside the account is to Export to Google Calendar, and then share the Google Calendar or public link with them. They’ll always be seeing the most up-to-date information, and they won’t have access to your account. Another alternative is to print your schedule to PDF and email it to them.